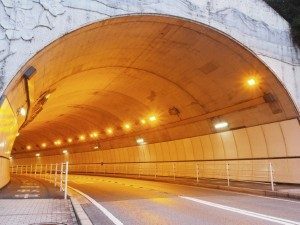 The Freight Transport Association (FTA) has welcomed the announcement that a public consultation is to be held into the creation of the new Silvertown Tunnel in central London. Linking Greenwich Peninsula with the Royal Docks, the new tunnel will provide an alternative route to the existing Blackwall Tunnel, which has a 4.0-metre (13.1 ft) height limit restricting access for taller lorries. The new Silvertown Tunnel would mean vehicles exceeding this limit will no longer be required to detour via the M25 to reach nearby destinations. A full consultation into the feasibility and future direction of the scheme has now been unveiled by Transport for London and marks a considerable step forward in the delivery of this much-needed transport network enhancement for the capital. FTA head of policy for London Natalie Chapman commented: "After decades of underinvestment in the road network, there is finally light at the end of the tunnel for Silvertown. "A lack of cross-river connectivity in east London is stifling growth, causing gridlock and adding to the cost of doing business in east London." She added that the news increases the positivity surrounding transport network upgrades for the area, with several other river crossings already in the pipeline that will deliver far-reaching benefits for hauliers and businesses in central London in the years ahead.